This is a stunning take on a traditional butler’s tray table. 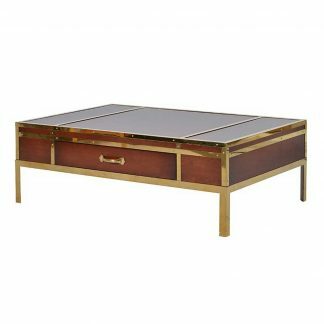 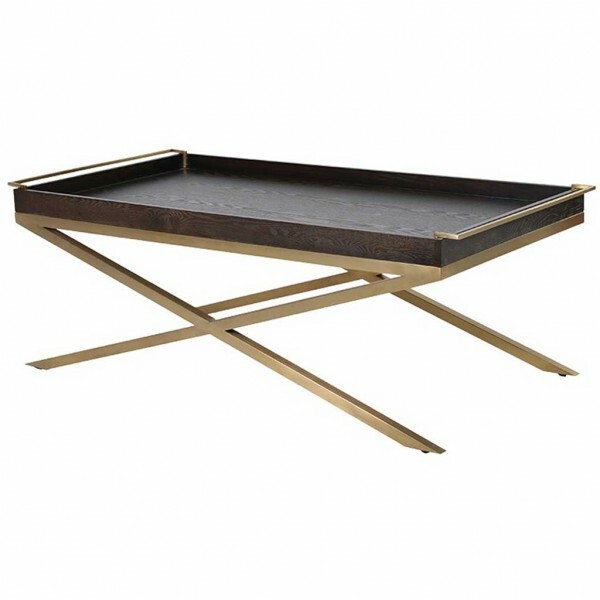 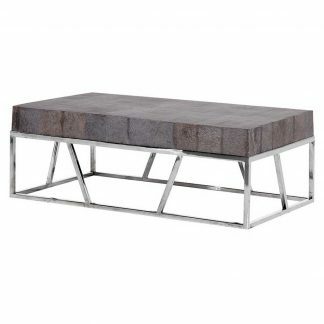 Large in scale and impact, this table features a dark wood tray on a gold metal frame. 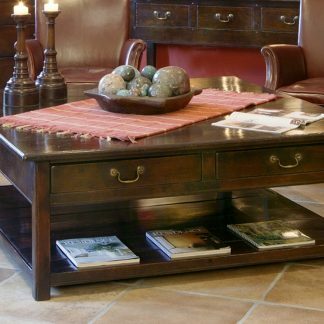 A design statement for any room.